Trans-Innovation-Group (TIG) is a leading provider of electro-mechanical, IOT and embedded engineering solutions for the Machines & Automation, Medical, Homeland and Cyber Security, Military, High‑Energy-physics, Leisure and Telecommunication industries. TIG designs, develops and manufactures innovative solutions and digital systems that meet a wide variety of needs. 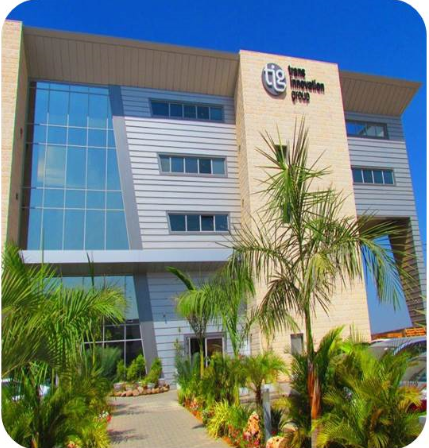 With over 200 employees, 30 years of experience in various technological, digital, scientific and engineering fields, and thousands of successful projects, TIG engineers are often the world’s leading experts in designing and developing challenging, tailor‑made systems serving all sizes of clients, from everyday consumers to large size, global companies from around the world. TransPro includes a large-scale production and manufacturing plant, equipped with clean room capabilities and is ISO 9001 certified, while meeting all MIL and Medical standards. TransPro serves top-tier clients, producing custom harnesses, enclosures, electronic cabinets and cable assemblies at competitive prices and boasting fast time to market. Asis-Pro esigns and manufactures embedded computing systems, backplanes, hardware and software solutions for ATCA, CompactPCI, and custom applications. Established in 1998, the company has been serving the telecom, enterprise, defense, aerospace, and industrial markets, bringing innovations in high-speed interconnect and thermal modeling that far exceed industry standards, both in performance and reliability. Asis‑Pro operates as TIG’s R&D arm, to provide creative solutions and services that weld leading experience to proven technology, in the service of an ever-expanding array of markets. Alfatek is a leading distributor of worldwide brands in the fields of electrical accessories and lighting fixtures. TIG’s customers also benefit from consultancy services, from the design stage to on-going projects, as well as from its COTS components and systems and its strong purchasing power. TIG, as a stable company with long-term contracts and a large customer base from diverse markets, on-going investments for constantly upgraded manufacturing facilities, highly-skilled technological experts, and cutting-edge knowledge is best situated to offer top-notch services and goods to all of its customers, in their varied markets and industries. Pellesus is combining the most advanced sensor, analytics and blockchain technologies in order to improve and transform the Equine Industry and Beyond. The company’s flagship FourCast system brings cutting-edge wellness, preventative and performance abilities to the passion-driven equine world. FourCast’s bionic sensors and proprietary algorithms accurately map horses’ complex movement and footfall patterns, in high, multi-dimensional definition.